Annual Supporters Day raises over £7K as project leader commits to 5 more years. LandWorks, the pioneering prisoner resettlement scheme, welcomed over 180 supporters to its Annual Open Day on August 18 to celebrate another remarkable year of achievement. Over £7K in vital funding was raised through sales of LandWorks produce, pledges and donations, and the future of the project assured with the announcement that LandWorks’ founder and inspirational manager, Chris Parsons, has committed to another five years. As team members, trainees, graduates, supporters and representatives from the prison and probation services gathered at the site, the heavens opened, raining down hailstones on the assembled crowd. Five minutes later, the sun came out – a perfect metaphor for the project which seeks to transform the lives of those who have lost their way, and help them reintegrate into society. Illustrating the point, recent graduate Brett spoke movingly about a sculpture he was inspired to create at LandWorks by his childhood love of super heroes. ‘Transformation Man’ represented the journey he had made “out of the dark and into the light”. After 12 years of drug addiction and crime, Brett has turned his life around and regained joint custody of his twin boys. Since it was founded in 2013, LandWorks has helped almost 50 men like Brett back into the community through work-based training such as landscaping, market gardening and woodworking, and the development of life and social skills. Over 95% of its graduates are now in employment, and the reoffending rate is just 4%within one year of release from prison, compared to a national average of 46%. 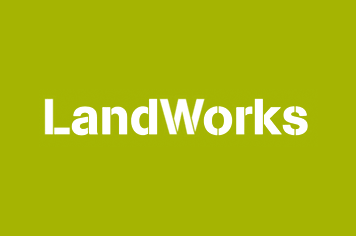 The past year has been an exceptional one for LandWorks, which was awarded Independent Charity status in May 2016. Since then, the project has doubled the size of its market garden and increased its wood working output – so much so, that the commercial enterprises run by LandWorks are on target to generate £50,000 in the next financial year, 25% of the organisations funding requirements. Fundraising remains key to the future of LandWorks, and during the Open Day, 65-year-old Chair of Trustees Ted Tuppen announced his 443 mile cycle in four days, from Penarth to John O’Groats, starting on September 18, in aid of the charity. Moreover, he would match fund every £1 sponsored. £2500 was pledged by LandWorks’ generous supporters on the day, resulting in a total of £6250 after gift aid and match funding. An additional £1700 was generated through a raffle, one-off donations and sale of vegetables and wood crafts.